View the lighting of the Christmas tree in Mystic River Park at 6pm from across the river at MMoA. 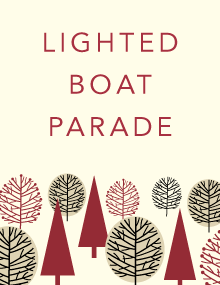 Brightly lit, decorated vessels parade down the Mystic River at 6:20pm. These holiday events have become beloved traditions in Mystic over the years. Join us to celebrate the season!